Endpoint device security is critical for enterprises to stay secure against various security threats. They are undoubtedly way better than antivirus packages when it comes to network security. [Antivirus packages are only suitable for securing a PC or a number of PC(s), but not the entire network]. One of the reasons why endpoint security is crucial for network protection is that they can prevent not only the known but the unknown as well. This capability makes them a very reliable network security tool without which an enterprise’s IT information security would be incomplete. But implementing an endpoint device security tool is easier said than done. Because there are a number of endpoint security tools available in the market. Some effective, others not so. So how to find out which ones are effective and which ones are not? Here a simple solution: Check for the 8 essentials listed in this page which every endpoint device security tool should contain for it to effectively safeguard your networks. Endpoint Security Tools Should Block The Unknown: Selecting an endpoint security tool which cannot block unknown security threats is as good as trying to protect your network using only an antivirus software. Endpoint security tools specialize in handling unknown threats. Therefore while considering an endpoint security tool, always check out whether it has the capability to handle unknown threats. 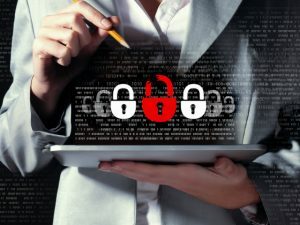 Endpoint Security Tools Should Not Impact User Productivity: Sometimes these security tools may, because of the stringent security policies they impose, hinder the user productivity. These are the sort of tools you should avoid at all costs. Always go for endpoint security tools which can increase user productivity by allowing them to use mobile and cloud-based technologies without any fear of being affected by unknown security threats. They Should Turn Threat Intelligence Into Prevention Automatically: Endpoint security tools that you select should be capable of converting the threat intelligence they gather into prevention automatically without the need for any additional plugins to accomplish the same. Tools which can do this can go a long way in safeguarding your networks efficiently. They Should Protect All Applications: Enterprises use a number of applications. Only if these function effectively, will the enterprise productivity increase. Unfortunately, most of these applications can contain security vulnerabilities which attackers can exploit. Therefore it is important to ensure the endpoint security tool you select can protect all the applications you may be using. Endpoint Protection Tools Should Protect Legacy Systems As Well: Legacy systems often pose a huge problem for enterprises. This is one of the main reasons several enterprises choose not to patch their systems properly because their legacy systems may not support such a change. Therefore while selecting these network security tools, you should always ensure that the one you select supports legacy systems as well. Because what you may be using today might as well become a legacy system tomorrow. If such a situation arises, you need an endpoint security system which supports such legacy systems. Endpoint Protection Tools Should Be Enterprise-Ready: When we say enterprise-ready, we mean your security solution should be “scalable, flexible and manageable enough” to be deployed in an enterprise environment. They must be scalable to handle increasing endpoints, flexible when it comes to security policies and easily manageable by your security experts. Only such a security solution can offer good security to your network. They Should Meet The Industry Compliance Requirements: There are many regulatory bodies which govern enterprise security. And it is the job of enterprises to comply with them. Any digression would result in liabilities. Selecting an endpoint protection tool which is industry-complaint can be a great way of falling in line with these regulatory bodies. They Should’ve Received Recognition From Various Research Firms: It is important what others are saying about the endpoint protection tool you wish to use. Ensure they’ve received recognition from various reputable firms. This is probably one of the easiest ways of narrowing down on the right endpoint security tool. Because more often than not a security tool will receive recognition only if it is doing well in the market.